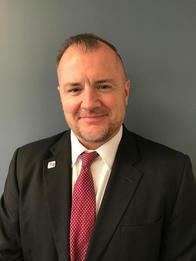 Allan Wier is a vice president and business banking relationship manager at Fifth Third Bank in the South Florida Market. Allan works directly with business owners, controllers, and CFO’s in Southeast Florida to develop a financial plan that drives their business growth. He works primarily with mid to large-sized companies from $2MM - $20MM in annual gross revenues. Allan’s focus areas are in the manufacturing, trade, and healthcare industries. Allan was raised in Missouri and relocated to South Florida in 1996 after graduating from the University of Missouri in Columbia, Missouri. He currently lives in Boynton Beach with his wife and four kids. He enjoys sports, coaching his kids’ teams, physical fitness, traveling, and spending time outdoors with his family.